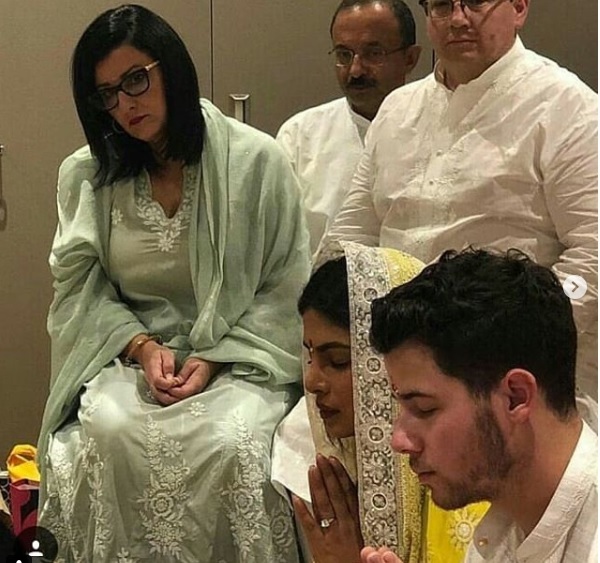 Priyanka Chopra and Nick Jonas have put all speculations to an end with just one picture! 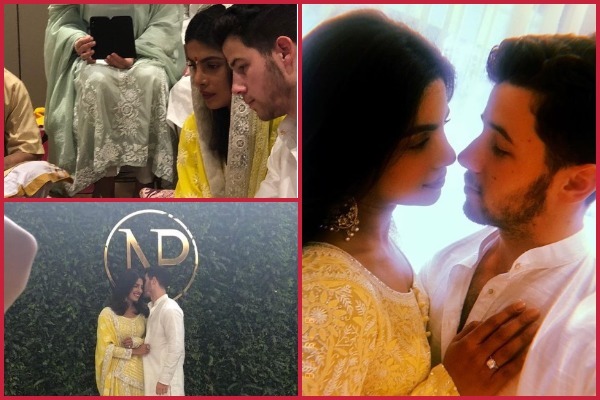 After weeks of anticipation it has been confirmed that our desi girl Priyanka Chopra is engaged to her American singer beau Nick Jonas! 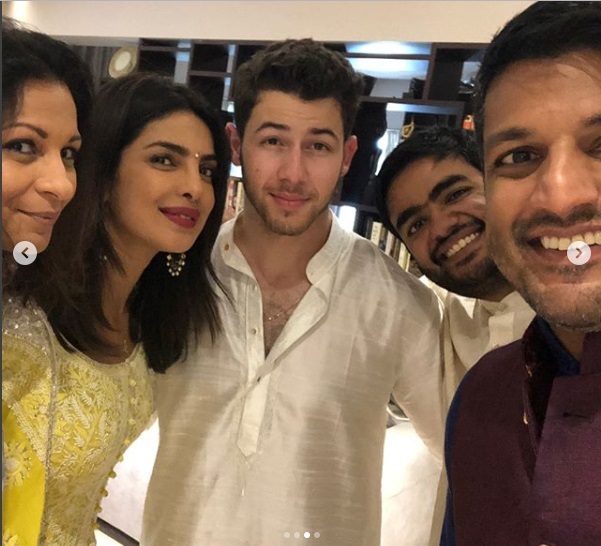 Priyanka Chopra – Nick Jonas’ Family Dinner With Parents Before Their Engagement Bash! Don’t they look absolutely adorable? 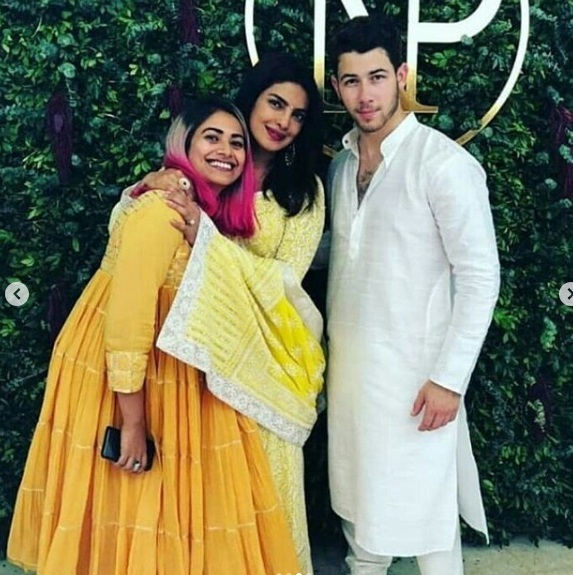 Priyanka Chopra looked absolutely radiant in a yellow embroidered salwar kurta paired with minimal jewellery and juttis. 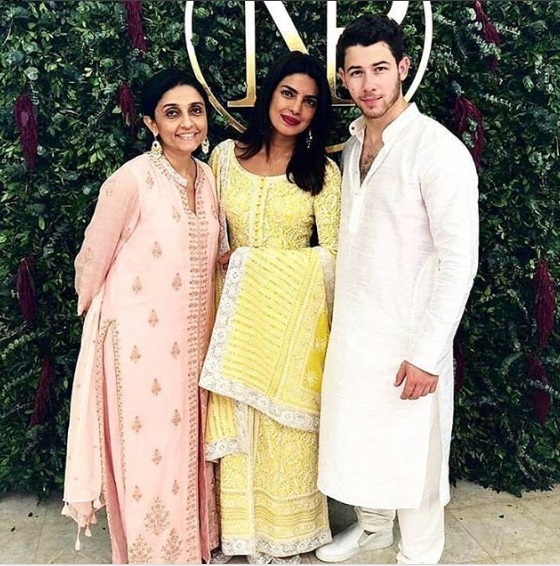 As for Nick he seems to have embraced his desiness by donning a white kurta churidar combo for the roka ceremony. This was the first picture of the recently couple. 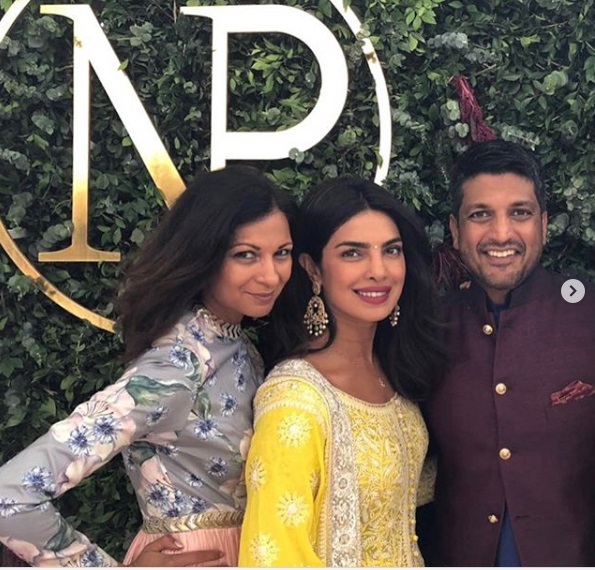 In case you are wondering the ‘NP’ insignia in the picture stands for Nick and Priyanka. Priyanka Chopra and Nick Jonas Are Giving Us Relationship Goals In Brazil! According to the pictures the engagement ceremony happened as per the Hindu traditional way also known as ‘roka’. 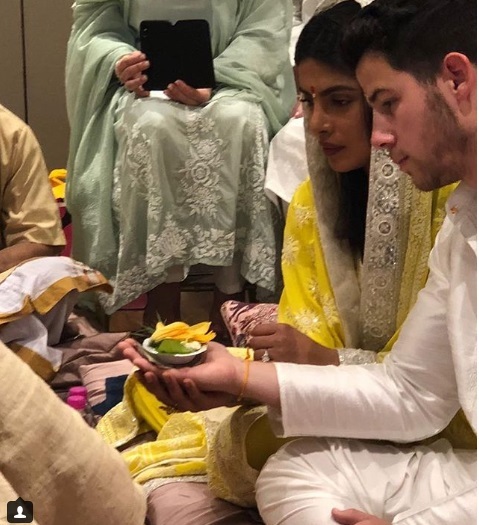 In the pictures we can see Priyanka and Nick performing a Ganpati puja for their blessed and fruitful future together. 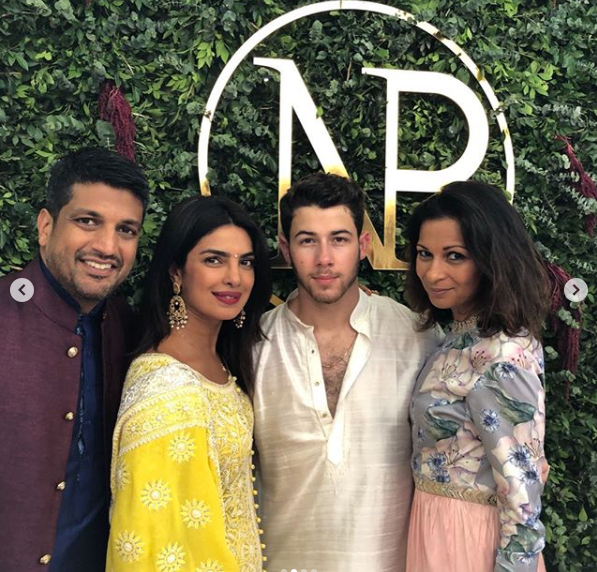 Naturally, apart from Nick Jonas’ parents and Priyanka Chopra’s mother and brother— cousin Parineeti Chopra also attended the little family function. 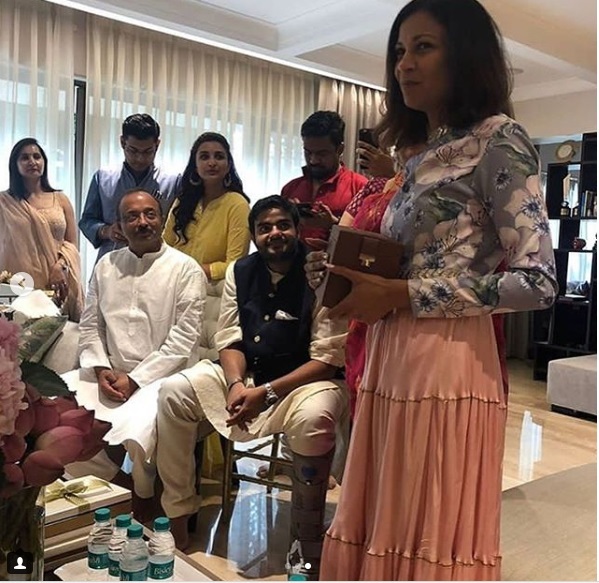 Among the ones who attended the roka ceremony/Ganpati puja were Salman Khan’s sister Arpita Khan Sharma, New York based entrepreneur Maneesh K. Goyal along with PC’S manager Anjula Acharia, filmmaker Srishti Behl Arya and PC’S close friend Mushtaq Khan. VJ Anusha Dandekar was also present at the roka ceremony. 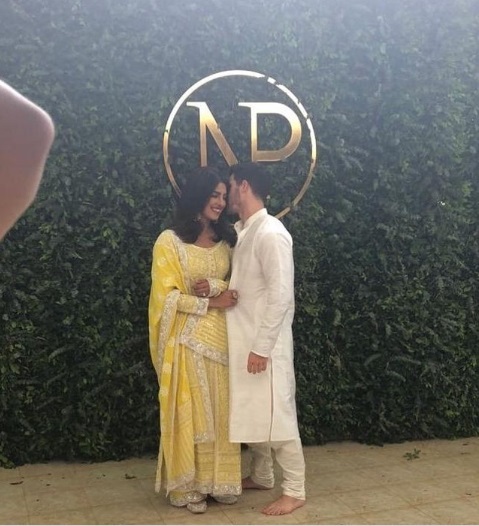 Now that the much in love couple is engaged as per the Hindu traditions we cannot wait to see who all are invited to Priyanka Chopra and Nick Jonas’ engagement bash reportedly happening tonight. However, we do know that it will be a party to remember! Previous : Priyanka Chopra – Nick Jonas’ Family Dinner With Parents Before Their Engagement Bash!